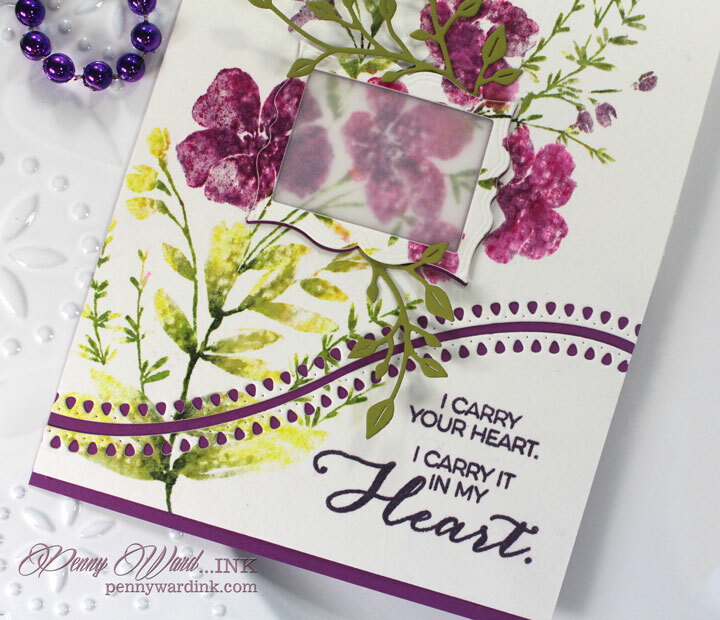 Today the Sweet Spring Collection is available at Penny Black. 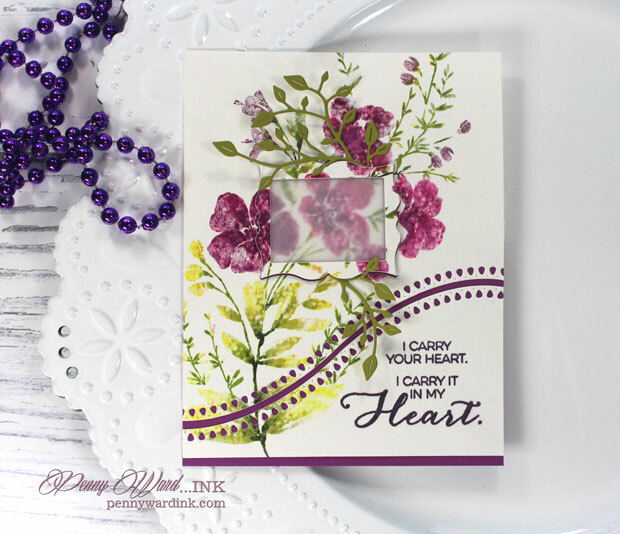 Gorgeous new Brushstrokes stamps, beautiful dies and unforgettable sentiments. 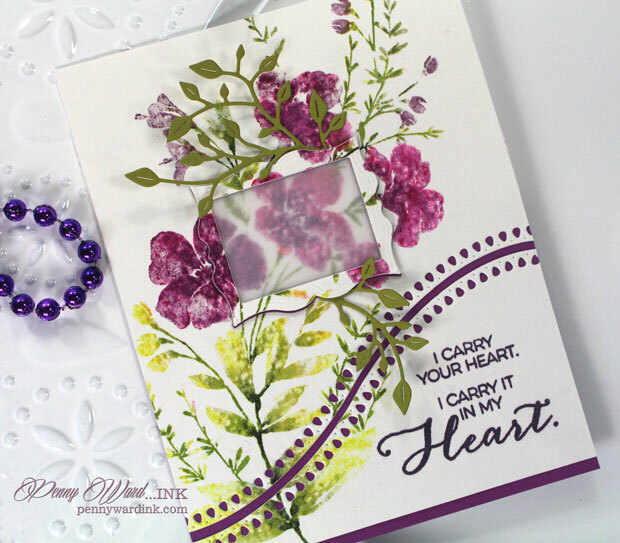 Blossom Branch was stamped using a Misti tool and Aqua Markers. 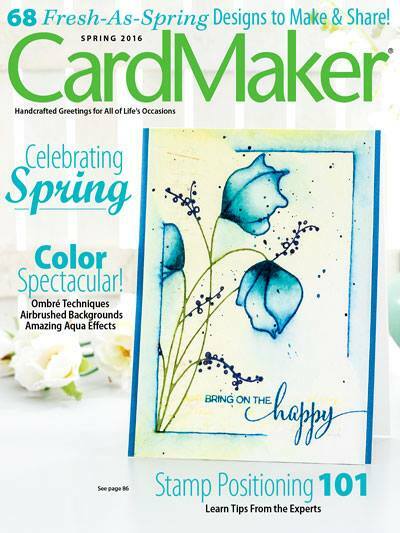 Panel was then die cut with Frames and Curved Stitch. Sentiment from the So Very Much set was stamped with a coordinating ink. Finally... Little Branch was die cut and glued around the Frames. 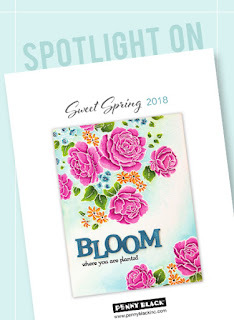 I will be showcasing some of the new products from the Sweet Spring Collection for the next few weeks.